Kelvin Thomson, Moreland’s Federal MP for the seat of Wills in the House of Representatives, rebuked the Abbott Government for the low climate targets that were announced on 11 August 2015. The Liberal Government’s announcement that it plans to reduce greenhouse emissions by 26-28 per cent below 2005 levels by 2030 falls a long way short of what is needed to effectively tackle extreme weather events. 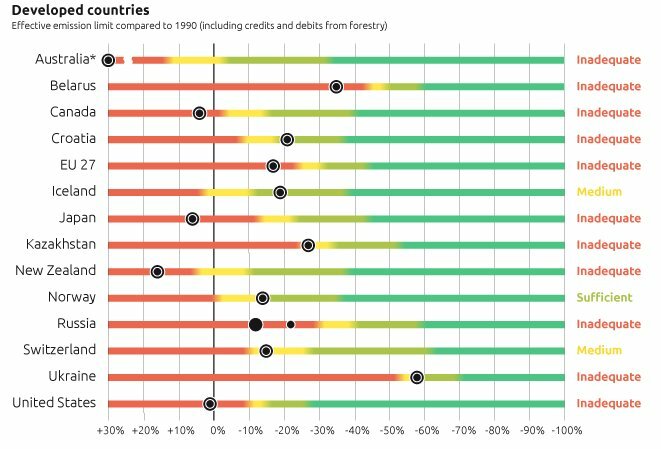 Its claim to be comparable with the United States is utterly misleading. The US plan is indeed for 26-28 per cent reductions, but by 2025, not 2030. How on earth can we claim to be going as fast as the United States when it will take us 5 years longer to get there? Moreover the Liberal target is way short of the recommendation of Australia’s Climate Change Authority. The Climate Change Authority was charged with taking into account not only climate science and current and future climate change impacts, it was also tasked with examining what other countries are doing, and the economic and social impacts of climate action. Its investigation was comprehensive and its recommendations deserve to be treated with the utmost seriousness. Read more at Kelvin Thomson’s blog. 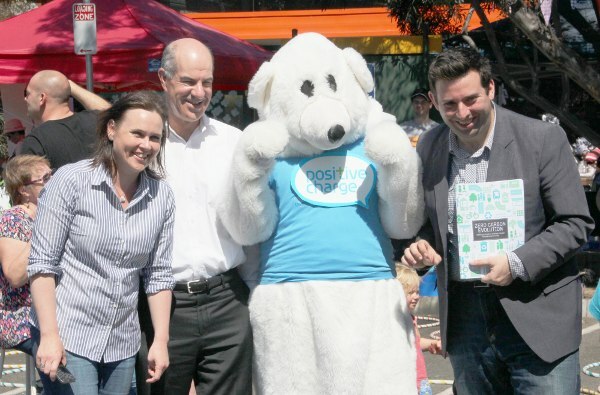 At the Coburg Carnivale, the Zero Carbon Evolution strategy plan was launched by Moreland Council Mayor Cr Lambros Tapinos, Wills Federal MP Kelvin Thomson and Brunswick State MP Jane Garrett. The strategy aims for community greenhouse gas emissions to be reduced by 22 per cent by 2020. “Zero Carbon evolution is a practical plan for how the Moreland Community can reduce our carbon emissions by 22 per cent by the year 2020. It was developed in a partnership between Council and Moreland Energy Foundation. If we can achieve the ambitious goals set out in this strategy the Moreland community will well and truly be on track to become a zero carbon city and do our fair share to respond to the challenges of climate change. “Council has a proud history of action on climate change and has achieved carbon neutral status for our own corporate operations. We have done this since 2012. 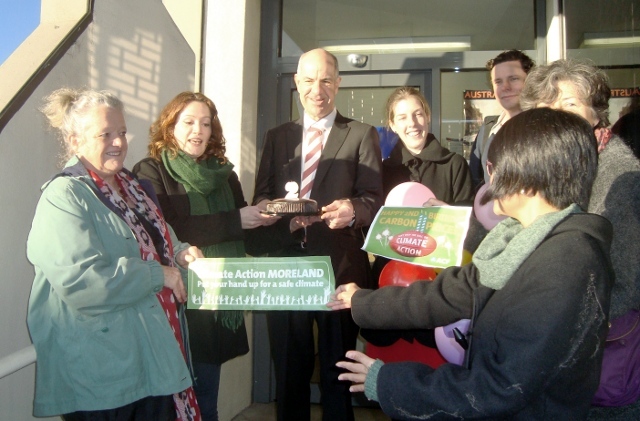 The Moreland Energy Foundation has over 13 years of experience at working with the Moreland Community to reduce carbon emissions. 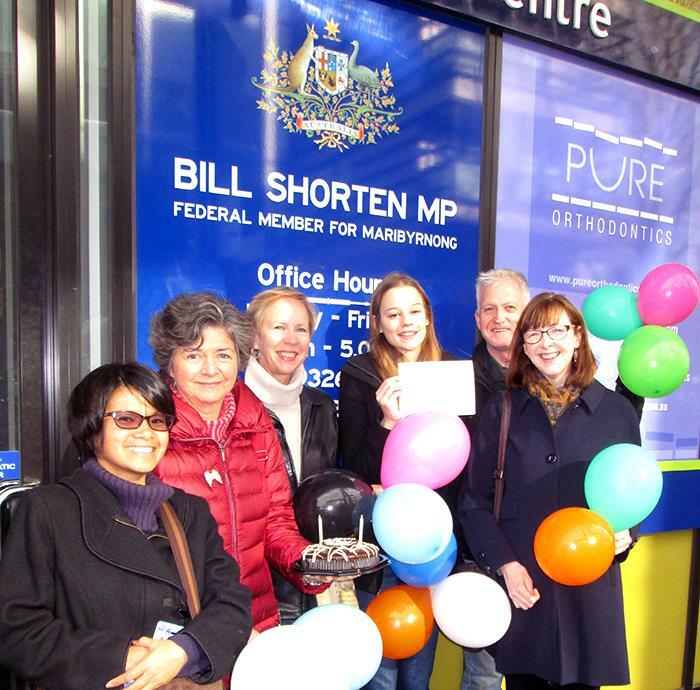 Zero Carbon Evolution signals a new era in community action on climate change in Moreland. Council and MEFL working in partnership are committed to work to support and assist the community in reducing their carbon footprint. Also speaking after Cr Tapinos was Federal MP for Wills Kelvin Thomson who brought some international dimension to the subject saying the real significance at the UN Climate summit wasn’t the absence of the Prime Minister but the negotiations and statements from US President Barack Obama and the high level Chinese delegation on climate action. Federal MP for Wills, Kelvin Thomson spoke in the second reading debate for the Australian Renewable Energy Agency (Repeal) Bill 2014 on 28 August 2014 defending the need to maintain low carbon investment support and the Renewable Energy Target. energy projects, with more than $1.5 billion in private sector investment. An equal number of renewable energy projects is in the pipeline which might draw up to $5 billion in private sector funding. Rural and regional areas of Australia have benefited through job creation with about 70 per cent of projects in rural and regional areas. On the Warburton review of the Renewable Energy Target: “The tragedy of the removal of RET is that it will jeopardise around one per cent of GDP in committed capital investment. It is regrettable that we have got a government that is more concerned with the ideological outcome or the vested interest than it is with a sound and visionary policy, which is what the renewable energy target is. This is real sovereign risk, not that bogus sovereign risk levelled at the mining tax or recently by the trade minister when he was talking about the budget in the Senate.” Thomson said. Wills Federal MP Kelvin Thomson spoke out strongly against the Coalition’s Carbon Price Repeal Bills on Monday 18 November 2013, while the Federal Government lead by Prime Minister Tony Abbott was trashing Australia’s international reputation at CHOGM and at United Nations Climate talks in Warsaw. Since the election Kelvin Thomson has published two climate change related statements. The first, on the debate within the ALP on whether to fight against the repeal of the Carbon Price (September 19, 2013) and associated clean energy package. 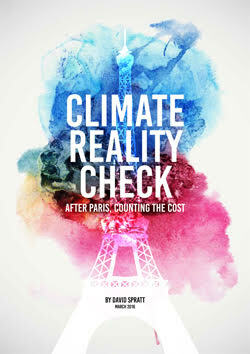 The second statement, Wild Weather But Climate Action Grinds to a Halt (October 18, 2013) was input into the discussion around extreme weather and climate change raised by Adam Bandt’s tweet in relation to the unusually early and intense Sydney Bushfires in the Blue Mountains in October. I had the priviledge of interviewing Kelvin Thomson at his electorate office in Coburg prior to the September 7 election as part of my citizen journalism coverage of the seat of Wills. Find below the verbatim transcript of the part of my interview dealing with climate change and related questions. John Englart: You are obviously very concerned about climate change, so I have a couple of questions about that. So you actually do personal things? You have a solar hot water system? solar panels? Kelvin Thomson: I had all the solar panels and all that stuff installed in my house, and then I moved house towards the end of last year. I’ve got to retrieve that…I have got plenty of rainwater tanks installed in the new house, I’m going well on that front, but there are a couple of things I have to put in place. Lack of time as much as anything proves to be a barrier but I do belive in those things. I do believe that solar panels are environmentally the right thing to do and are good for households over time. I am a strong supporter of that, and I’ve managed to get away without things like clothes dryers, dishwashers for most of my adult life and I think that we do have an individual responsibility to try to reduce or to contain and manage our carbon emissions. It is no good telling the rest of the world to cut your carbon emissions when we are not doing that ourselves. John: China and the US have indicated this year that they are increasing their actions to limit their emissions. Do you think Australia should be considering lifting our targets from 5% on 2000 levels by 2020. I think there was a leaked report of the Climate Change Authority was considering lifting the target to 15 per cent. Kelvin Thomson: We have said that we will look at more ambitious targets, subject to what other countries are doing and that will have to be an ongoing consideration. I think at the moment the key thing is that we do get our emissions trending down because the regrettable realty is we’ve been talking about action on climate change for a very long time. But each year those emissions have been going up. That is the thing that has to change. We have got to get the emissions coming down and once we get the trajectory coming down it seems to me yes we can do better. 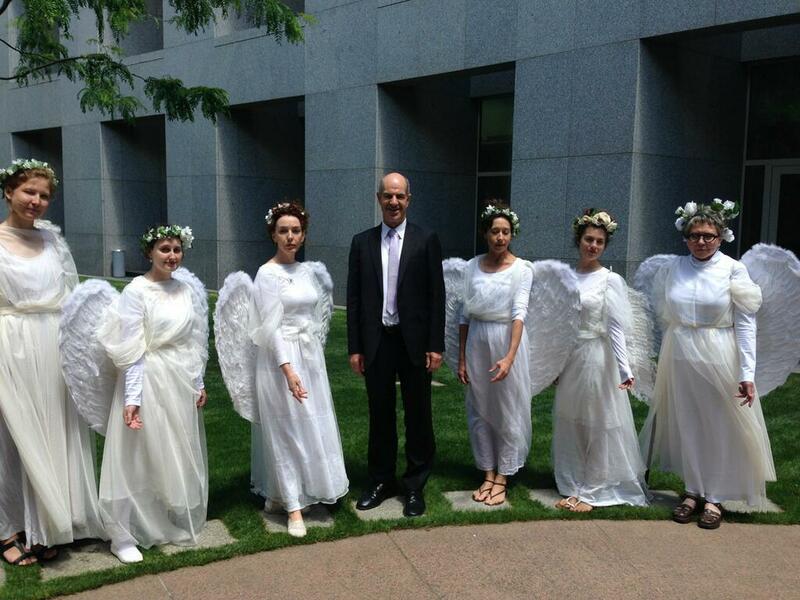 I have advocated ambitious climate change targets. I advocated an 80 percent reduction target in a report prepared by the Parliamentary Treaties committee which I chaired. Kelvin Thomson: …No…. I need to go and check this John. 60 per cent by 2050 and I think the treaties committee was 80 per cent by 2050. It’s either 2050 or 2060? But the idea of having an ambitious climate change target I think is important. We are moving towards renewable energy at 20 per cent by 2020 target. That is proving to be very useful in my view. It is something that is driving a lot of the solar panels and wind turbines, geothermal projects and so on. And that is another reason I believe the Government is entitled to be re-elected, because if you get the Liberal Party in they will be working away undermining the renewable energy target. John: Like the State Government with wind farm laws? Kelvin Thomson: Exactly. The state government position on wind farms is outrageous. To give anybody a power of veto on any windfarm that they live within 2 kilometres of. You try matching that against residents in this area having a 2 kilometre veto over something like the East-West tunnel or the Brunswick terminal station upgrade or something like that. It is farcical and fanciful that the state government should endeavour to ringbark wind energy in the way that they have done. But the 20 per cent by 2020 target is a good strong target and people in the renewable energy industry say to me that it has given them a lot of confidence to invest and to put serious money into renewable energy. John: We have touched upon the refugee issue but with climate change, there is a World Bank report out recently that a lot of South East Asia, South Asia are going to be affected by rising sea levels. It is likely there are going to be movements of people. We are seeing some boat people now, but I think that in 20 to 30 years time it could be a lot more people, because there is going to be a lot of flooding of low lying areas. Kelvin Thomson: It is a point I have mentioned myself in speeches gone by, John. It is one thing to think about a place like Tuvalu or Kiribas which maybe has 10,000 people, but that is one order of magnitude, but in Bangladesh my recollection is that 100 million people living in low lying areas, that is potentially subject to inundation. You cannot imagine Australia, you cannot imagine any other country in the world being able to deal with what can be termed climate refugees like that! It seems to me that we have to… it is one of many reasons why we have to be serious in our response to climate change and be determined to reduce the level of carbon emissions in the world and have serious climate change targets. Otherwise, there is the risk of quite catastrophic outcomes. Tens of millions of people finding their homes uninhabitable, that is a catastrophic outcome. John: I think our aid budget the Labor Party is aiming to get it up to 0.7 per cent of GDP? It is still not there yet. Do you think it needs to be raised? Kelvin Thomson: We are quite some way from 0.7. The Labor Party has committed to get to 0.5 per cent by 2017/18. It is presently at 0.37 per cent. It is a $5.7 billion budget, and this year it is gong up by $500 million, and it will go up by $500 million basically each year to get it to the 2017-18 target. We would all like to see the aid budget increased and I think the 0.7 target, the United Nations target is the right target, it is an appropriate target. But obviously we are in tight fiscal times and you can’t just do these things in the way you would like to. Australia increasing our budget by $500 million on a $5 billion budget is inceasing by 10 per cent, and it’s worth being aware the other OECD countries are on average reducing their budget by 4 per cent. So we are goung up by 10 and others have gone down 4, and I know that in the United Nations Australia is held in high regard in that we are increasing our budget and others are not. 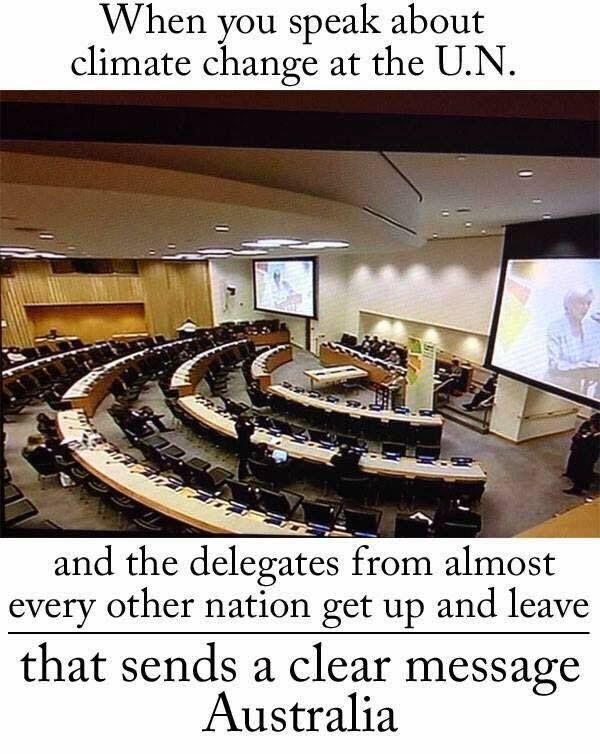 I have had the good fortune to spend time at the UN and experience the goodwill that exists towards Australia and one of the things that drives that good will is that we are upping our aid effort. Kelvin Thomson provided thorough answers (PDF) to questions on climnate change put to all candidates by Climate Action Moreland before the Federal Election. During the election campaign three public forums were held and climate change was raised as an issue at all three. 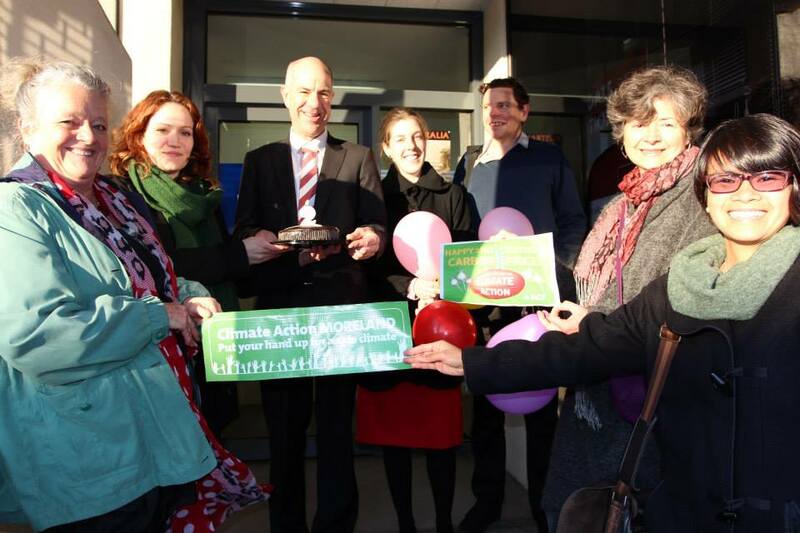 The first public forum was organised by Climate Action Moreland focussed on climate change. The second was on food security and agriculture at Coburg Farmers Market. The third forum was organised by Brunswick Uniting Church. Three very different forums in which Thomson spoke strongly on the Labor Government’s carbon pricing and clean energy package. The Liberal candidate was absent from all three forums. The Greens candidate, Tim Read actually outpolled the Liberals after preferences making the Wills two party preferred vote between the ALP and Greens, a very select group of Federal electorates. As has been shown this past week, Prime Minister Tony Abbott has trashed our international reputation by rejecting the Commonwealth climate change risk fund at the CHOGM meeting in Sri Lanka. Our reputation for constructive contributions to international negotiations at the United Nations Framework Convention on Climate Change is also in tatters. Australia has won not one, but four Fossil of the Day awards, which are conferred each day by civil society NGOs at the climate negotiations. The first rebuke came for Australia not putting forward any new finance commitments at the Warsaw negotiations. The second and third awards were for repeal of carbon pricing and abandoning neighbors on loss and damage. The fourth award was given for a statement that obligations for new, predictable and reliable finance from developed countries are “not realistic” and “not acceptable.” This statement undermines one of the cornerstones of the UNFCCC: That developed countries due to their historic emissions have an obligation and commitment to provide funding for developing countries for climate mitigation and adaptation. As well as the Meet the candidates Public Forum on Monday 19 August 2013, Climate Action Moreland have put together a list of question that we would like a response to from each candidate. The list is below. We will publish written candidate responses emailed to us on our website. With scientists forecasting substantial sea level rise this century, many people from low lying coastal regions of south East Asia and islands in the south Pacific will be seeking asylum in Australia as climate refugees. What should Australia’s response be? The Australian government has committed to reducing greenhouse gas emissions by 5% below 2000 levels by 2020. However, under the emissions trading scheme, Australia does not need to reduce local emissions, but can purchase emission reduction certificates from overseas. What do you think Australia’s emission reduction targets should be by 2020? 2030? 2040? Should these targets be conditional on the actions of other countries? How would these emission reductions be achieved? Could you please describe how the emission reduction schemes that your party proposes will work in practice? What is your position on whether Australia should be required to reduce its local emissions rather than purchasing certificates from overseas? How do you propose to reduce emissions produced in Australia? Australia is regarded as particularly vulnerable to climate change. Given the lack of action to date, it is inevitable that Australians will be subject to serious impacts, including adverse health impacts and increased mortality due to rising temperatures and heatwaves, changes in rainfall and water availability for drinking and agriculture. What are your policies to reduce the impact of climate change on Australians? Heatwave induced mortality is expected to increase in inner urban areas like the Wills electorate due to the interaction between climate change driven increasing temperatures and the Urban Heat Island effect. While 173 people lost their lives in the Black Saturday Bushfires, 374 people died in Victoria due to the heatwave according to Victoria’s chief health officer, Dr John Carnie. The 2013 State of Australian Cities report found that heat related deaths are expected to quadruple in number by 2050. What is your response to this public health threat? Transport is a large contributor to climate change. What are your policies to transform the transport sector to ensure it is sustainable? 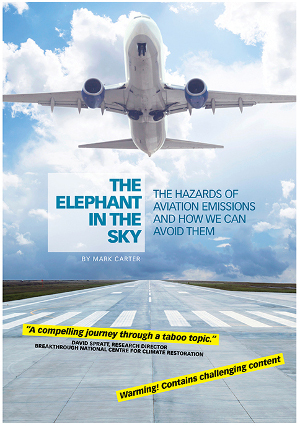 Approximately $10 billion is paid out each year to subsidize the use of fossil fuels, including in aviation, which helps to keep the price of flying low. Green groups have proposed that instead of subsidizing activities that contribute to climate change, we should be funding technologies that reduce greenhouse gas emissions including energy efficiency and renewable energy. What are your policies on these subsidies to fossil fuels? If you propose to remove these subsidies, please describe how you would do so and over what time frame. What are your policies on redirecting these funds to technologies that do not contribute to climate change? The burning of fossil fuels (coal, oil and gas) are major contributors to climate change leading to a substantial carbon bubble in conflict with emission reduction targets, according to the Carbon Tracker Initiative, Grantham Institute, and Australia’s Climate Institute. What are your policies regarding the following: coal exports; use of coal for power generation; use of natural gas for power generation? What would be your strategies for phasing these out? Households and business can reduce their carbon emissions through increased energy efficiency, solar water heating and generating their own renewable electricity by installing solar panels. Do you support these measures and if so, what are your policies to ensure these measures become widespread? Do you personally use solar hot water and/or solar panels or buy Green Power? 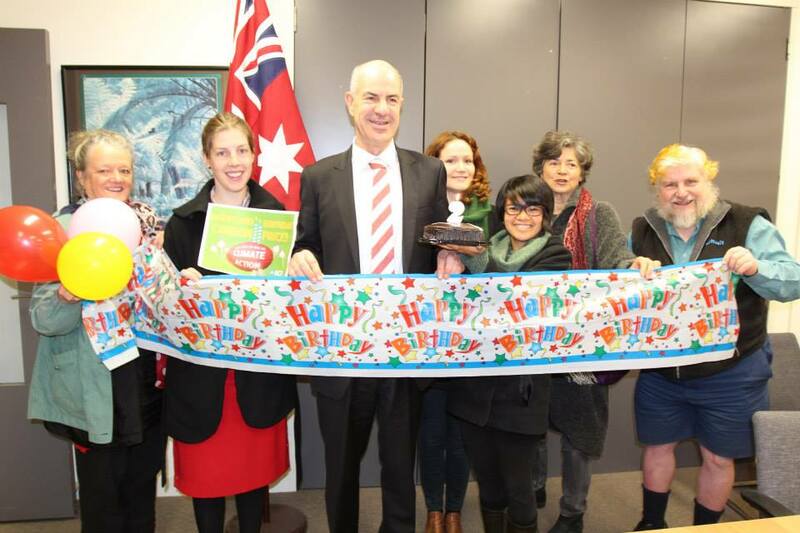 Some councils, including Moreland, have announced that they are carbon neutral. However, this has been achieved partly through the purchase of offsets from overseas projects. 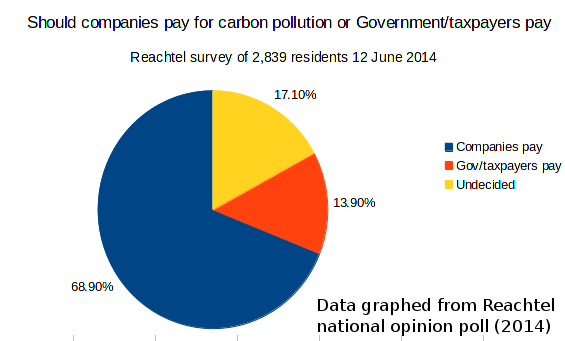 What is your position on councils, businesses etc using offsets to claim carbon neutrality? Food waste is a major source of carbon and methane emissions. What are your policies to reduce food waste and reduce emissions from food waste? Do you personally compost waste food? Do you know that in Wills we have platypus in Merri Creek? Eastern Grey Kangaroos visit the Fawkner grasslands? We have rare plant species along our creek corridors? Funding for biodiversity has recently been slashed by the federal government. What is your policy on federal government biodiversity funding and species and eco-system conservation?